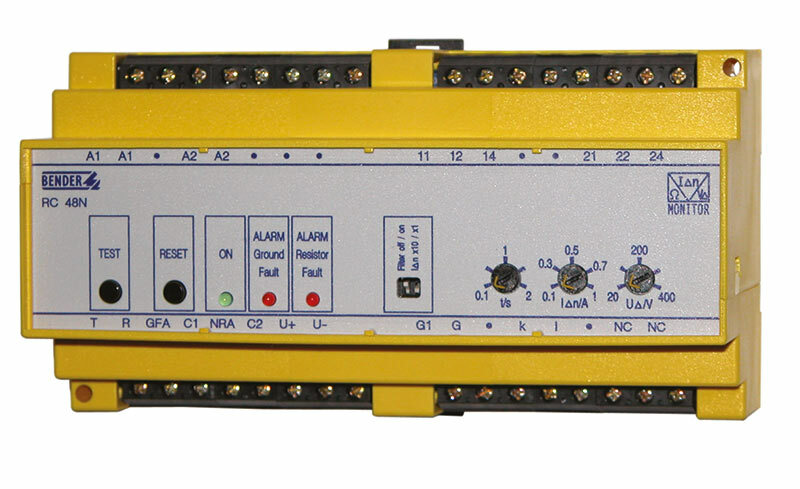 The RC48N ground-fault neutral-grounding monitor is used to monitor high-resistance grounded installations. The maximum ground fault current in these systems is limited by a neutral grounding resistor to 5 A, 15 A or 25 A . 1. Monitoring of the residual current in the grounding conductor. 2. Voltage monitoring between the transformer neutral and ground. 3. Monitoring of the grounding resistor for continuity (NGR). If a value is not within the thresholds, a relay with two voltage-free changeover contacts will be activated.